Chevrolet There are 10 products. 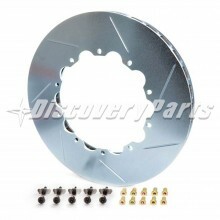 Fitting the 5th Generation Camaro perfectly, the GiroDisc Corvette brake upgrade kits allows for lighter, 2 piece brake upgrade. 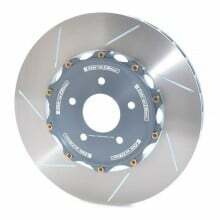 The GiroDisc G5 Camaro rotors are direct replacement for the OE disc, no modifications are necessary. 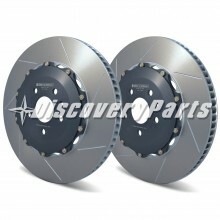 The disc will bolt directly to the car and work with OE calipers perfectly. By upgrading your brakes with lightweight high performance replacements as opposed to a big brake kit, your factory bias is maintained as well as your ABS efficiency. The Girodisc front rotors are much lighter than the stock units. This reduction in rotational and unsprung weight allows for quicker acceleration and suspension response. Fitting all C5 Corvettes with the use of the Z51 caliper brackets (available through your local GM dealer), the GiroDisc C5 Brake Upgrade allows you to have track worthy, 2 piece floating rotor kit for your powerful C5 Corvette. 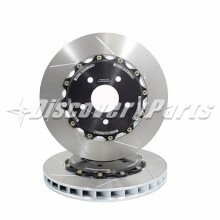 Cracked OEM disks are now a thing of the past with a quality, race designed brake rotor system. 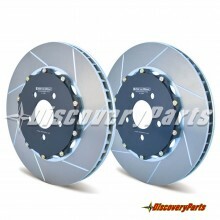 GiroDisc Corvette C6 Z06 brake upgrade kits lower rotating mass from 25.6 lbs to 19.2 lbs each corner. With a savings of 6.4 lbs rotating mass on each of your front wheel assemblies, off corner acceleration is significantly improved as brake wear is lowered. 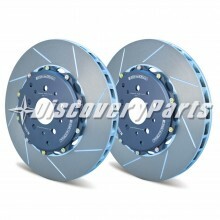 GiroDisc C6 Z06 brake upgrades are exactly what a track driver wants, at a incredible value. In 2009 Chevrolet released the LS9 supercharged 6.2L (378 cu in), and put out 638 HP and 595 lb.-ft. of torque. 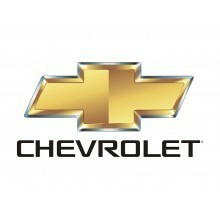 Chevrolet added all the items a racer could ask for, a manually shifted 6 speed close-ratio transmission with hardened gears and a dual-disc clutch. All this needed to be stopped by awesome (and expensive) ceramic rotor rings. GiroDisk offers steel replacements to allow you to "shelf" your expensive ceramics and enjoy what even some C7 Z06 Corvette owners state is GM's truly finest car. Fitting the C6 Corvette Z51 perfectly, the GiroDisc Corvette brake upgrade kits allows for lighter, 2 piece brake upgrade. The GiroDisc C6 Z51 rotors will also bolt onto non Z51 C6's and all C5's with the use of the Z51 caliper brackets which can be purchased through the dealer. No modifications are necessary. 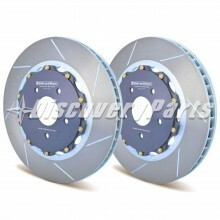 The disc will bolt directly to the car and work with OE calipers perfectly. Fitting the C7 Corvette Z06 and Z07 perfectly, the GiroDisc Z7 Z06 Corvette brake upgrade kits allows for lighter, 2 piece brake upgrade. 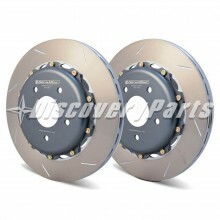 While the C7 Z07 GiroDisc 2 piece brake rotor kit is a complete OEM CCM replacement package. If you are a track driver, get your budget in check with the GiroDisc 2 Piece complete Corvette C7 Z07 front and read brake kits.